The Next Chapter columnist chats with Shelagh Rogers about his latest book. Randy Boyagoda wears many hats as a literary critic, academic and The Next Chapter columnist. 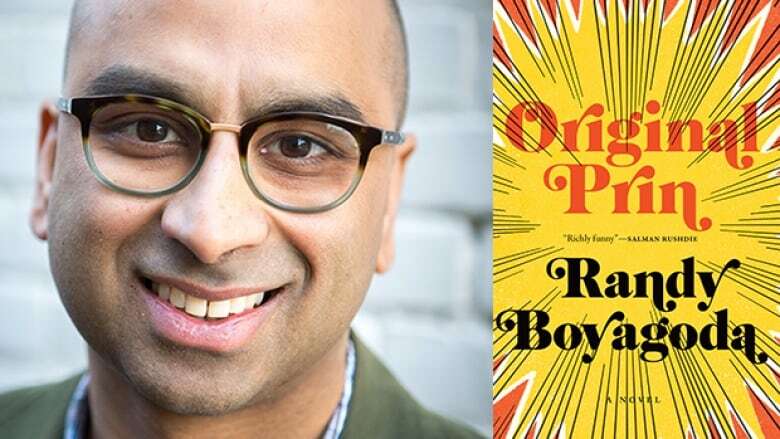 He's also a recognized novelist with 2006 Scotiabank Giller Prize-longlisted novel Governor of the Northern Province and most recently the comedic novel Original Prin. The book hews somewhat close to real-life. The main protagonist is a 40-year-old academic and Catholic named Prin, who goes on a midlife journey that tests his faith, his will and his life with loving wife and four daughters. "This is probably my most openly autobiographical work. In taking on a book like this, where you are indeed writing about someone very much like yourself, what I was doing was trying to challenge myself as a writer. I have four daughters and a beautiful wife who's a Catholic from Milwaukee that I met in graduate school. So it's an even more dangerous parallel that could be drawn here with this book." "My first novels were performative, ​in the sense I was coming up with a scenario or a crazy idea and then seeing what I could do with it. But I wasn't really pushing myself; I wasn't as personally invested in the story I was telling. The stakes are much higher with this novel because I was writing about someone very much like myself in situations where I could imagine myself in. I was asking questions about family life, about professional life and about religious life in a way that have more impact for me." "This novel was probably the most demanding, painful, searing editing experience I've ever had. I have a tendency to hit readers three times in a row with a joke. My editor challenged me to hit them once and hit them well, and then move on to something else. The idea is to kind of have one great moment, leave it there for the reader to enjoy and move on."